While we’ve been using and promoting Corona Insights’ Synergistic Business Model™ for quite a while, it was exciting to see it on this widely used and respected platform. The Synergistic Business Model™ responds to a need for a new nonprofit paradigm. Two features make the Synergistic Business Model™ innovative. First, it fully incorporates community engagement as a component of equal stature with programs and funding. Second, it is designed to achieve true synergies within the business model. 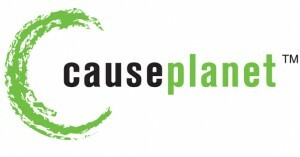 CausePlanet’s aim is to stimulate professional curiosity in busy nonprofit leaders by recommending great books through Page to Practice™ summaries, author interviews and relevant articles by peer contributors. Their Page to Practice™ team chooses the most relevant books so our readers can inform better book choices and enhance professional development.